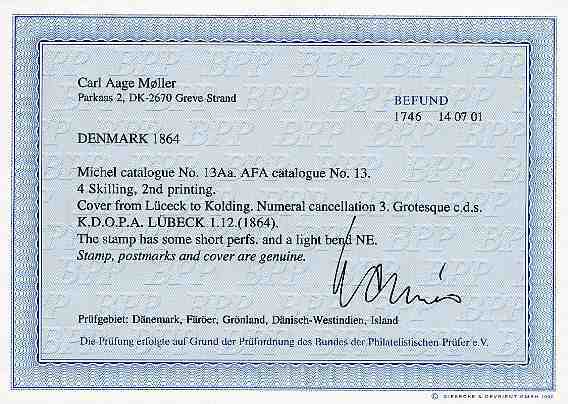 Denmark 4 Sk (small imperfections) cancelled "3" + "K.D.O.P.A.LÜBECK 1.12." 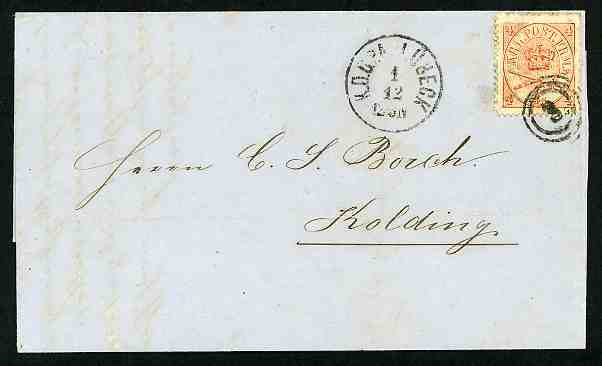 (1864) on beautiful folded letter send to Kolding. A scarce 4 Sk franking.